See itinerary below for more! 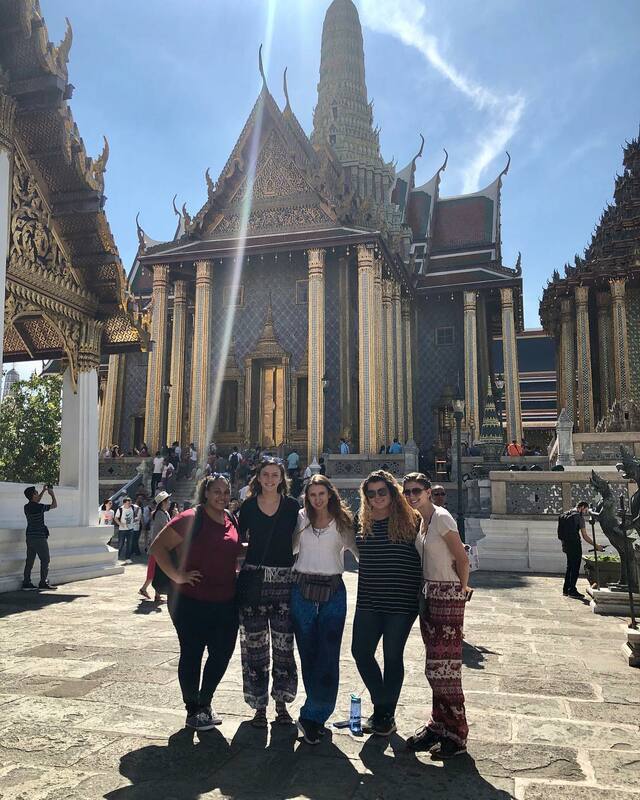 See Global Programs Office (DS 245) for more information regarding the 2021 Thailand Program. All prospective participants must complete an interview with the faculty leader in order to be registered in the course. Note: this course requires participants to enroll in 2 credits during the Fall 2018 semester and 1 credit during the Spring 2019 semester. Students must complete all 3 credits to receive a grade. 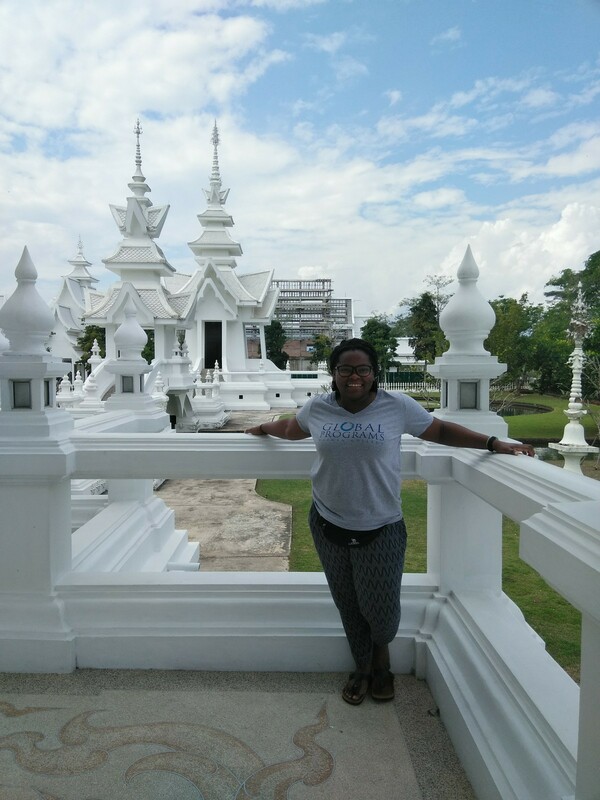 This seminar will offer a broad overview of Thai culture and prepare students to work with children and adolescents at risk for human trafficking in Northern Thailand. Participants will be registered for 2 credits in the fall semester and 1 in the spring semester. 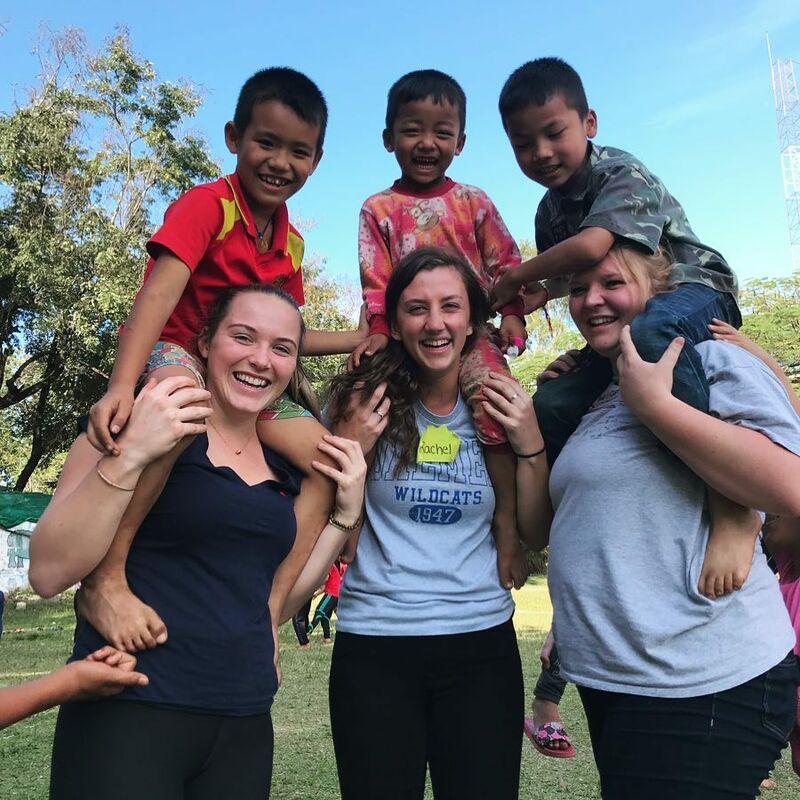 Students will meet during designated class times during the Fall semester to learn more about the history, culture, and current affairs of Thailand. The class will travel as a group to Bangkok, followed by the Chiang Mai/Chiang Rai region of Thailand to engage the issue of human trafficking prevention in partnership with the Development and Education Programme for Daughters and Communities (DEPDC) organization. 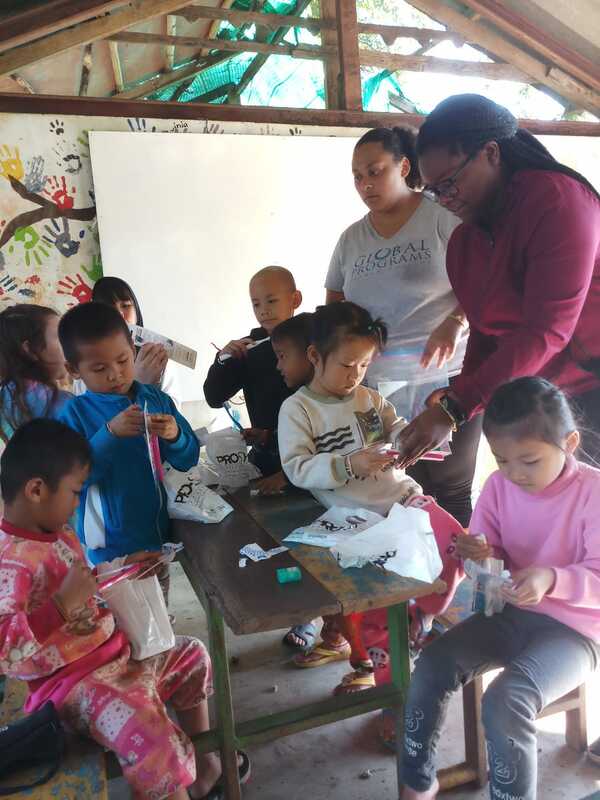 While in Thailand, students will learn from Sompop Jantraka, a two-time Nobel Prize nominee and expert in the delivery of individual, family, and community interventions within the international context. Students will travel during the intersession and are expected to present about their experiences at the 2019 Daemen College Academic Festival. This course fulfills the Daemen service learning requirement and core competency: civic responsibility. *Note: program dates and itinerary are tentative and subject to change. *All participants are responsible for arranging their own transportation to and from the Buffalo/Toronto airport. Bangkok City Highlights Tour including Wat Pra Kaew, Grand Palace, Wat Pho and Wat Arun. Project tour and orientation to the site. Students will witness the cycle of human trafficking, as Thailand is a source, transit, and destination country for this illegal activity. The group will partner with the Development and Education Programme for Daughters and Communities Center in the Greater Mekong Subregion (DEPDC/GMS). DEPDC works primarily to prevent and to protect children and youth from being trafficked into exploitative labor conditions. The organization’s projects provide crucial preventative measures of education, vocational and life-skills training, protection and accommodation, family and community outreach services, and leadership development to at-risk children and youth. Human trafficking in Northern Thailand is prevalent due to numerous populations of minority ethnic groups, many of which lack Thai citizenship. Historically, these people have suffered extreme poverty, because they lack access to formal education and health care. As a result, many are marginalized and are compelled to seek financial alternatives in order to survive. Students will assist with the ongoing education of community members on the dangers of human trafficking, work to update safe accommodations for victims of trafficking, and contribute to other services provided by DEPDC. Read more information on the work of DEPDC here. The following program budget is an estimate from the 2019 program. During the course of program operations, actual figures may vary. It should not, therefore, be used as a basis for calculation of refunds. Daemen reserves the right to adjust fees at any time. The fee includes an airport pick-up, housing in centrally located budget guesthouses, some meals, on-site transportation, full-time program leadership and support, course-related excursions and entrance fees, gratuities for tour guides and bus drivers, travel health insurance, and pre-departure advising. Out of pocket costs are not included in the above budget estimate. The cost of obtaining a passport, souvenirs, some meals, snacks, any extra personal items, and airline baggage fees are the responsibility of the student. Students should plan on paying for these expenses on their own. Payments may be made in cash, check or credit card in the Business Office (DS 106). Please make sure the student name is on the check and inform the staff it is for the Thailand program. Do not pay Student Accounts. Notification of withdrawal from the program must be submitted in writing. $500 of the program deposit is nonrefundable and may not be transferred to another semester. Before 9/12/2020, 100% will be refunded minus the $500 deposit and any airline cancellation fees, penalties and any expenses incurred by the student. After this date, the amount refunded cannot be guaranteed. In all cases, travel charges are refunded at the discretion of the airline carrier, or travel provider. 60 days prior to program start date, there will be no refund. If a student believes individual circumstances warrant an exception to these procedures, a written request with supporting documentation should be sent to the Global Programs Office. Please Note: Fees and estimated expenses are based on all known circumstances at the time of calculation. Due to the unique nature of our programs and the economics of host countries, Daemen reserves the right to change its fees or additional expenses without notice. Also note this policy is separate from the college academic withdrawal policy.